LoadDex drastically simplifies pricing and carrier selection across all modes. With a single search, users can compare thousands of rates from all types of transportation providers at once. Aggregate all market sources, historical rates, contract rates, and social data into a single platform. Connect LoadDex to your TMS for automated imports and exports. Easy-to-use data visualization tools simplify rating and mode selection. 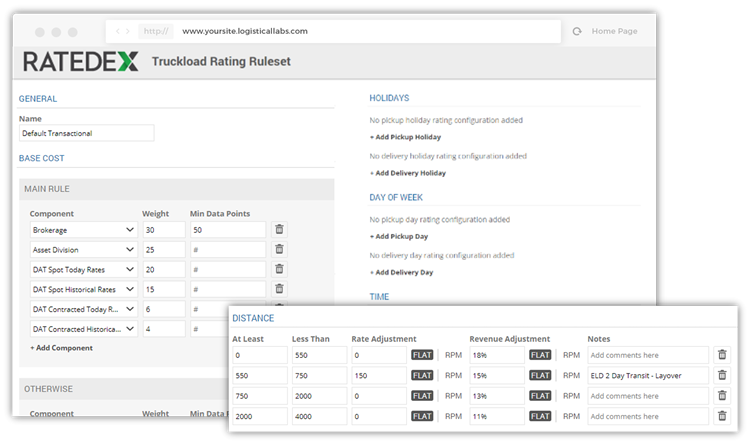 Adaptable truckload rule sets let you create your own pricing algorithm to further eliminate guesswork. From sending quotes, to booking, to tracking awards, LoadDex helps you win more loads, mitigate margin compression, and hit your revenue targets. RateDex: Take pricing to a dynamic level by establishing custom rule sets that calculate the most optimal price. Award Tracker: Measure RFP compliance with the LoadDex Award Tracker. 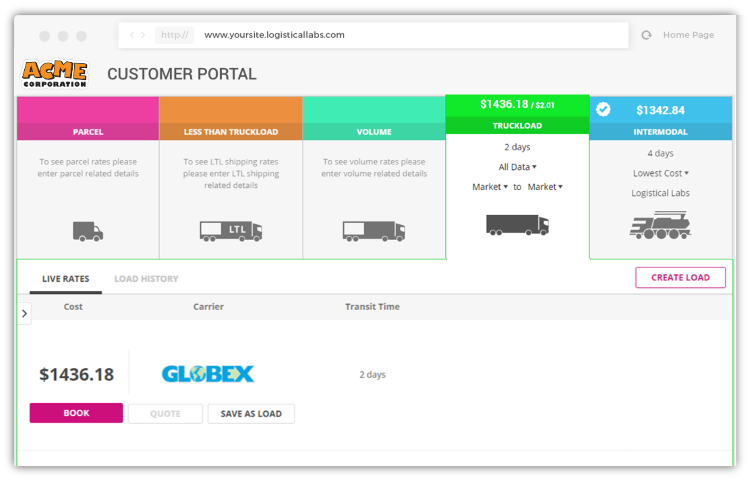 LoadDex portals enable stronger relationships between carriers and shippers due to increased connectivity, trust, and simplicity of doing business with one another. Portals can also be used for better collaboration with agents, franchisees, or satellite offices. LoadDex brings the multi-billion-dollar railroad industry into the 21st century with real-time intermodal rating and booking capabilities. In the highly competitive transportation industry, shippers have the luxury of choosing from several carriers and brokers—often using an RFP process to drive down costs and zero in on the best options for their needs. Find out how CRST Logistics used LoadDex’s Batch Rating tool to speed up their bidding process and win more business.